Robert Bordo is the recipient of the 2014 Robert De Niro, Sr. Painting Award. He lives and works in New York City and Columbia County, New York.Since the mid-1980s, Bordo has shown his paintings internationally in numerous one-person and group exhibitions.He has had nineone-person shows in NYC,most recently at Alexander and Bonin Gallery in 2013. His collaborations with Mark Morris include sets for Dido and Aeneas, Paukenschlag, Stabat Mater, and The Death of Socrates. Robert Bordo is Associate Professor of Art at The Cooper Union, New York, where he leads the painting program. Christine Van Loon was born in Hoeilaart, Belgium, and studied commercial art, costume, and set design. At the Théâtre Royal de la Monnaie in Brussels, she worked in both the set and costume departments and with Maurice Béjart’s Ballet of the 20th Century. Ms. Van Loon has designed the costumes for several Mark Morris productions, including Dido and Aeneas and L’Allegro, il Penseroso ed il Moderato. James F. Ingalls' designs for Mark Morris include Orfeo ed Euridice (Metropolitan Opera); King Arthur (English National Opera); Sylvia, Sandpaper Ballet, Maelstrom, and Pacific (San Franciso Ballet); Platée (Royal Opera House, Covent Garden, and New York City Opera); L’Allegro, il Penseroso ed il Moderato, Dido and Aeneas, and The Hard Nut (MMDG); Ein Herz (Paris Opera Ballet); and the initial White Oak Project tour. His work for Lincoln Center includes Zaide, Ainadamar, and Bach Cantatas, all directed by Peter Sellars, and Renaissance Muse, directed by Mark Lamos. At the Metropolitan Opera, Ingalls has also designed An American Tragedy, Salome, Benvenuto Cellini, The Gambler, War and Peace, and Wozzeck. Most recently, he designed A Flowering Tree and La Passion de Simone (New Crowned Hope Festival and the Barbican Centre, London), Doctor Atomic (Holland Festival/De Nederlandse Opera and San Francisco Opera), and The Cherry Orchard at Oregon Shakespeare Festival. He often collaborates with Saint Joseph Ballet in Santa Ana, California. "A tour de force of late 20th century artistic storytelling...that smashes and rewrites stylistic boundaries. When everyone joined together — musicians, singers, dancers — it proved, yet again, that you didn't need a movie screen to make a blockbuster." "...a production involving all aspects of theater brought together by an artist of imagination and vision." "...mastery and artistic perfection one only dreams about experiencing." "Mr. Morris has created a dazzling interpretation of Purcell's superlative work. The more closely you follow it, the more packed its movement is with meanings; even though I have seen the work a number of times over the years, it keeps surprising me." 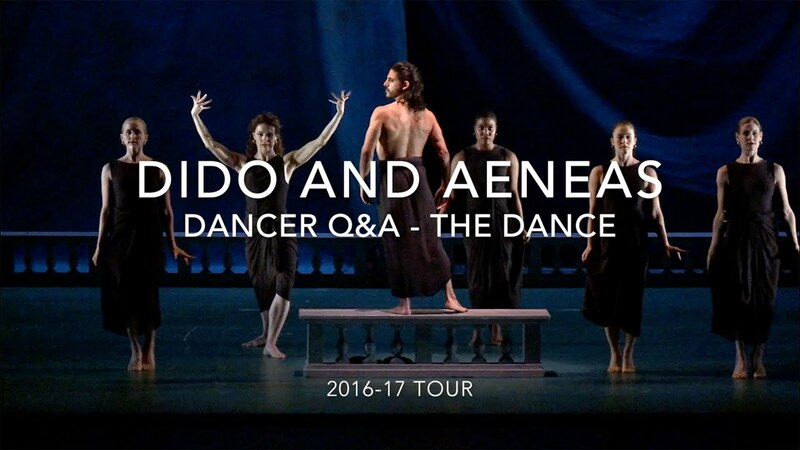 Dido and Aeneas is a dance adaptation of Henry Purcell’s 1689 eponymous opera, based on Virgil's famous tale of Aeneas' affair with Dido, the Queen of Carthage on his way to founding Rome. As Director of Dance at the Théâtre Royal de la Monnaie in Brussels, Belgium, Mark Morris presented this opera with singers stationed in the pit and with the stage reserved exclusively for dancing. The unique combination of baroque vocal music and modern dance underscored Morris’ gift for storytelling and his remarkable ability to shape music and words into movements. Morris cast himself in the dual role of Dido and the evil Sorceress that plots the Queen's demise. This role is one of his most acclaimed. "As he said at the time," biographer Joan Acocella wrote in 1993, "he wanted to expand the expressiveness of male dancers; he wanted to give them what women had. But, artistically, the more important fact was that the gender switch—plus the combining of the heroine and villainess roles—shot the show into a mythic territory, beyond realism and beyond conventional morals." Morris continued to perform the role, opposite Guillermo Resto as Aeneas, until 2000. In the summer of 1995, a filmed version of Morris' production directed by Barbara Willis Sweete was produced by Rhombus Media. Sweete, who had previously worked with MMDG on the Emmy award winning film, Falling Down Stairs, recreated the Dido and Aeneas set on a sound stage in Toronto, Canada and filmed the work without the constraints of a proscenium stage. The film captured Mark Morris in his critically acclaimed role, brought the long famed dance sequences to motion picture and television audiences, and is still available on DVD today. When Mark Morris retired the role at the turn of the century, many believed that the only way to re-experience the work was through the film - that no other dancer could replace him. Nonetheless, as part of the 25th anniversary celebration of the Mark Morris Dance Group, the company remounted the work. This time, all dancers were new to the piece except for two who remained from the 1989 premiere cast. Dido and the Sorceress were cast as two separate roles and performed by Amber Star Merkens and Bradon McDonald respectively. 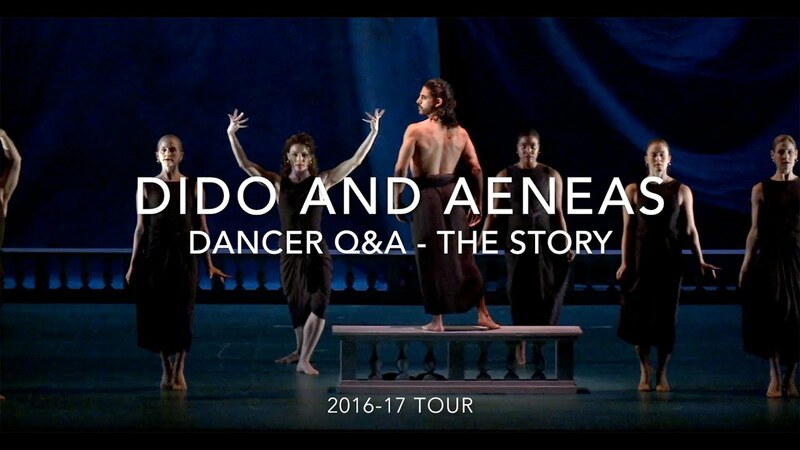 Today, the roles Dido and the Sorceress are again performed by one dancer. Mark Morris has been conducting performances of Dido and Aeneas since 2008, when he first conducted the MMDG Music Ensemble and the George Mason University singers as part of an engagement in in Fairfax, Virginia. Since then, he has conducted performances in Urbana, Illinois (Pacific Symphony Orchestra and the University of Illinois Chamber Singers); in Boston, Massachusetts (Orchestra and Chorus of Emmanuel Music); and in the company's Russian debut in Moscow (MMDG Music Ensemble and Trinity Choir). Recent performances conducted by Morris at Cal Performances, Berkeley (Philharmonia Baroque Orchestra and Chorale), and at the Mostly Mozart Festival at Lincoln Center, New York (MMDG Music Ensemble and Trinity Choir) featured mezzo-soprano Stephanie Blythe singing the roles of Dido and Sorceress.